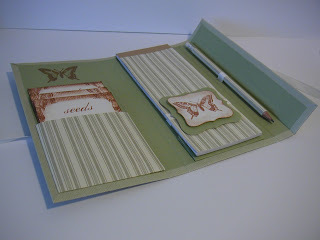 Here's a closer look at the garden folder I made. 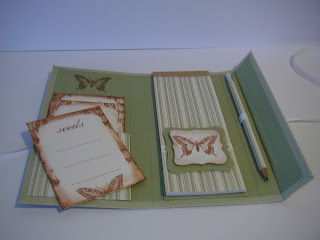 Inside there's a notebook and pencil that I covered and a set of seed packets to put gathered seeds in. 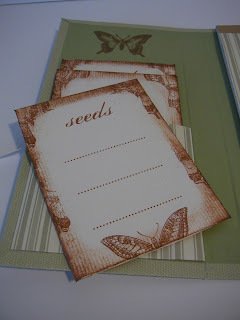 I printed the text for the seeds out on the printer, then I stamped the butterfly stamp around the edges and then I distressed the edges by rubbing the stamp pad lightly over the edges. 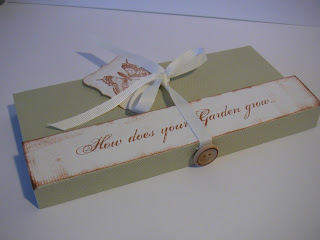 Craft Stamper magazine added my garden folder to the Stamper of the Year Gallery!